The Lincoln County 4-H Leaders’ Association is accountable to the 4-H Youth Development educators/staff and are required to seek their advice when acting in the role of a 4-H volunteer leader. The document below provides additional information about this relationship. The Lincoln County 4-H Endowment Fund is a depository of gifts and donations to provide long-term support for the Lincoln County 4-H program. Only the earnings will be used. 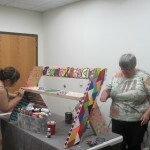 Through the establishment of the fund, the Lincoln County 4-H Program is able to accept gifts of any size from anyone. All contributions are tax deductible and a receipt of donation will be sent to the donor for tax purposes. The 4-H Board of Directors of the Lincoln County 4-H Leaders’ Assocaition, Inc., will serve as the Advisory Committee for the fund. Proceeds from the fund help support our county 4-H program, including 4-H Summer Camps, State and National trip opportunities, 4-H Scholarships, 4-H Ambassador program and other 4-H opportunities for Lincoln County youth. Online giving using Mastercard, Visa or Discover on secure website www.cfoncw.org Click Online Giving and follow prompts to Lincoln County 4-H Endowment Fund. Send contributions to: Community Foundation of North Central Wisconsin, 500 First St. Ste. 2600, Wausau, WI 54403. Make checks payable to: Community Foundation of North Central Wisconsin, Note: Lincoln County 4-H Endowment Fund. All gifts will be acknowledged to the donor, honoree, or family of the memorialized, as appropriate. 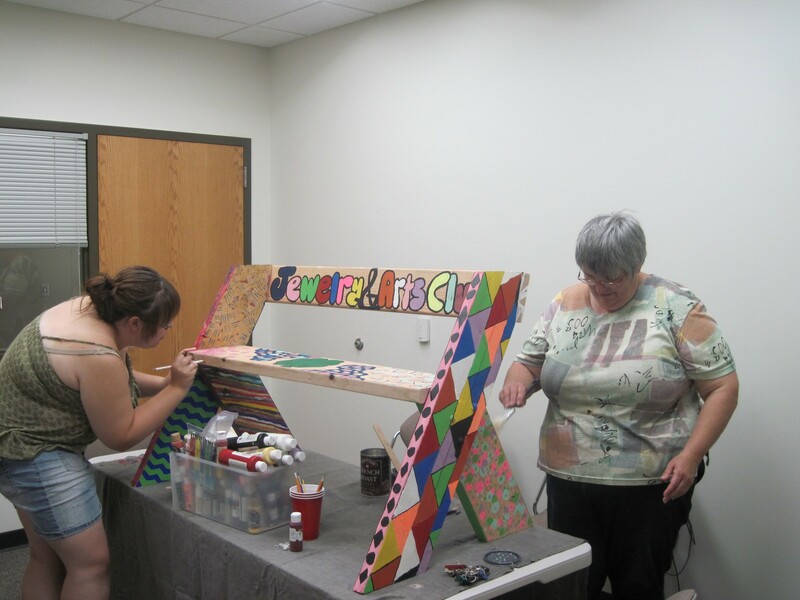 Leading up to the fair, the many Lincoln County 4-H clubs and affiliated groups were not only preparing for the fair, but also working to make the fair experience even better for everyone who attends. The work that they were doing was decorating benches to be placed around the fairgrounds in order to increase the amount of seating available across the grounds. 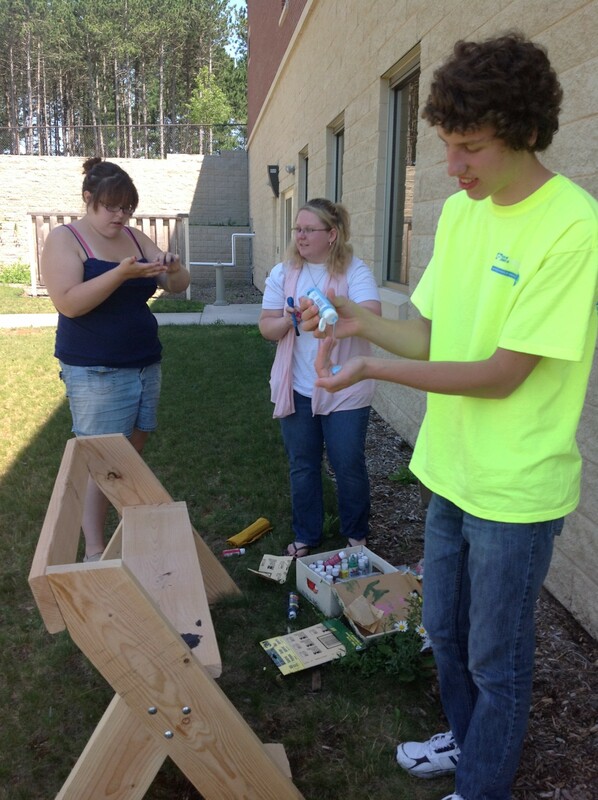 Each group was given an identical bench that they then stained, painted, etc., and placed their group name on as recognition of their importance to many youths and adults from around Lincoln County and beyond. This project was made possible by many people. It would not have been possible without the cooperation of all 25 groups participating. Sandy Thurs and Stevie Roets wrote a grant to secure part of the funding from the Wisconsin 4-H Foundation, with the rest being contributed by the Lincoln County 4-H Leaders’ Association, Inc. Also, Brandon and Dan Thurs spent many hours to build the benches, making the project a reality. Without the many participants in this project, it could have never come together. 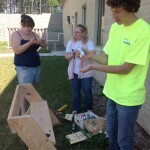 The Lincoln County Bench to Bench Project is truly a wonderful example of what can be done with cooperation across a community, and with the support of organizations such as the Wisconsin 4-H Foundation and the Lincoln County 4-H Leaders’ Association.